This week I am featuring my Favorite Pinterest Board in our Saturday Party! 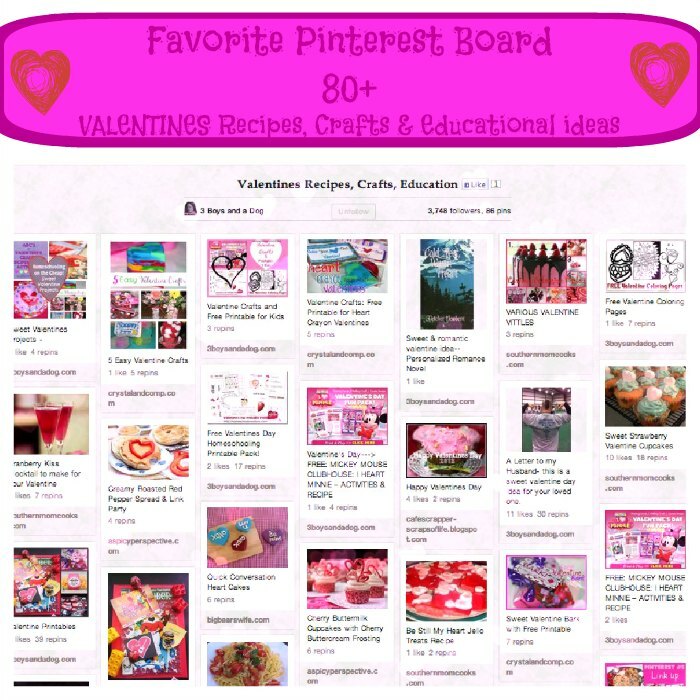 My favorite board this week is my collection of over 80+ Valentine Recipes, Crafts & Educational Ideas. Do you have a favorite Pinterest Board? I have teamed up with Susie QT Pies and Crystal and Company to bring you this weekly linky. Link up your favorite blog post, favorite pin on Pinterest, top weekly clicked link, top pin and/or top Pinterest Boards. Anything goes! Since this post is all about pinning, be sure to pin this post and a few of the posted linkies. Choose your favorite and click to your heart’s content. Pin your Pinterest ID so that I can follow you back!